What Is a No-Kill Shelter? Americans are notoriously enthusiastic about their domestic animals, including how they are treated in shelter environments. A no-kill shelter is usually defined as an animal shelter that does not euthanize healthy animals, animals with treatable illnesses and injuries, or animals that are very young or very old. They only put animals to sleep that are terminally ill and have a low quality of life or considered too dangerous to be adopted. A no-kill animal rescue shelter will also tend to animals with behavior issues, connecting them with trainers. Even when the no-kill facilities are at capacity, they work hard within their communities to adopt out as many animals as possible and have a well documented Save Rate of at least 90%. That means that 9 out of 10 animals that come into the organization leave alive. Many facilities are working to make their Save Rate even higher. Also known as “limited admission shelters,” because they turn away animals they cannot help — they have become increasingly popular over the last few decades as a more optimistic, humane alternative to the old-fashioned idea of the ‘dog pounds’ of yore. Images from the Disney classic children’s movie Lady and the Tramp gave children nightmares for generations with a heart-wrenching scene of a pound (re: not a no-kill shelter) full of pitiful, lonely, lost, and abandoned dogs lamenting their likely fate – death at the hands of the local dog catcher. What no-kill shelters aspire not to be. Some animal shelters euthanize healthy animals, but why? Most shelters that put down animals claim do so because they the animal is “unadoptable,” by their criteria — but there has been some discussion over what the definition of the word means. Unadoptable is a controversial term because some shelters are known to categorize animals that are too old or too young as “unadoptable” and put them to sleep. Also, some shelters will euthanize healthy animals that have been there for a time deemed to be too long or if the shelter becomes overcrowded, to open up space for new animals. It is a very hard fact of life to deal with, and no-kill shelters are striving to increase the number of animals who are eventually re-homed instead of killed. How Many Animals Are Killed In Shelters Each Year? According to the American Society for the Prevention of Cruelty to Animals (ASPCA), approximately 1.5 million animals are euthanized each year. That number has been on the decline in recent years, in part due to the popularity of no-kill shelters. For example, after the recent spate of hurricanes in the southern coast of the United States, pets that were left homeless were sent to shelters around the country to combat overcrowding, get medical care, and keep otherwise healthy homeless animals off the streets. Keep in mind that if a no-kill shelter is legit they will be transparent about their numbers and have a fact-checkable save rate of 90%, if not higher. It is easy to call a shelter “no-kill,” but as you will find out, not all of them are created equally. How Do No-Kill Shelters Work? No-kill shelters are committed to saving and rehoming as many animals as possible. No-kill shelters operate with the help of a team of passionate staff as well as volunteers, making them a labor of love. Not all of the animals stay on-site, though. Some healthy, adoptable pets go to live temporarily with volunteer foster families while shelters work to find them “forever” homes. In this way, they can help more animals than their facilities allow them to care for, meaning that they turn away fewer animals. Like most things in life, it pays dividends to do your homework. That includes doing research into the no-kill shelters in your area. Organizations such as the ASPCA, Progressive Animal Welfare Society (PAWS), and your local Humane Society are terrific resources and have great reputations for answering questions quickly and candidly. In fact, your local Humane Society probably has a special adoption day coming up soon. They also have special ‘Spay Days’ where they spay and neuter people’s fur babies for an affordable price to decrease overpopulation, which cuts down on homeless animals exponentially. As with other things, word of mouth is certainly helpful. Read reviews written by recent consumers and ask pet parents you know that have adopted from a no-kill shelter about their experience. Also, once you’ve found a place you trust, feel free to give them a positive review. It could help the next person looking to rescue a shelter animal. The website Petfinder.com provides descriptions of animals in your area that are ready to be adopted. It also shares information about all manner of shelters near you. As previously mentioned, there is no governing entity to regulate the language and definitions surrounding no-kill shelters. It is easy for any shelter to embrace the vocabulary of a no-kill shelter while still practicing unnecessary euthanasia. While most no-kill shelters are genuine about their mission to save healthy animals and find them forever homes, not everyone follows the rules because they are mostly unwritten. Some shelters call themselves no-kill and have come under fire for not living up to that description, euthanizing animals such as people’s lost pets and animals that are re-habitable. 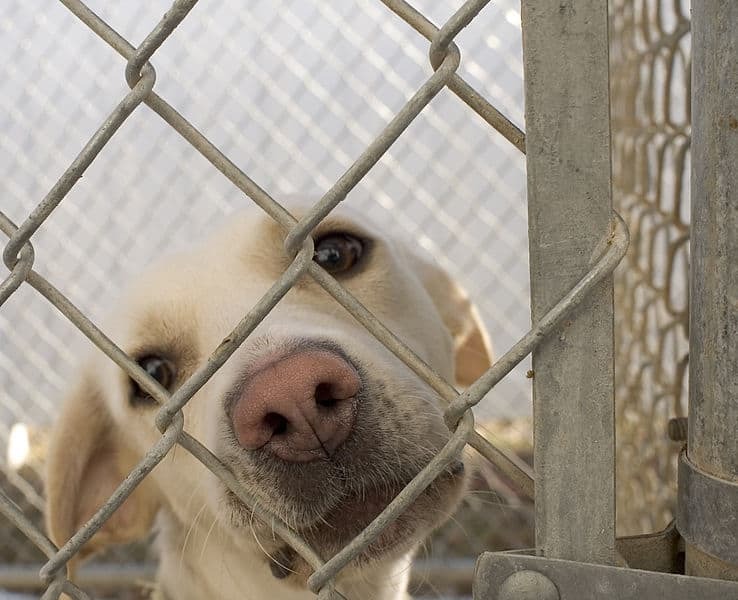 Closed admission shelters, aka “No-Kill” means that they can turn away animals for any reason. Government-run “kill” shelters are “open admission,” meaning they may take in more animals in need, without limitations, than no-kill shelters can. As long as there are more potential pets than there are available pet parents, euthanasia is to be expected – at least to some extent. So, to end the killing of pets, please spay and neuter your companion animals, and consider adopting your next pet from, or volunteering your time or money at, a local shelter. Featured image: CC By A-SA 2.0 Gold Star Deputy via Flickr.